← Fishing the “Alabama Rig” in California? History of the Tejon Ranch Elk? Answer:In 1966, the Department of Fish and Game (DFG) issued a permit for the release of 300 Rocky Mountain Elk imported from Yellowstone National Park into a fenced compound on a game farm ranch in southern Kern County. By 1967, 290 elk had been shipped from Yellowstone, but due to the stress of transport and possibly other causes, only 277 survived to be released inside the ranch enclosure. Many elk died within the enclosure from several diseases brought on by stress induced by confinement, as well as a new and different diet. Later that year elk began escaping because of the lack of fence maintenance. It is not known exactly how many animals escaped to the wild (California Fish and Game, 61(4):239-241. 1975). According to DFG’s Elk and Pronghorn Coordinator, Joe Hobbs, approximately 200 animals currently reside in this area in an around the Tejon Ranch. 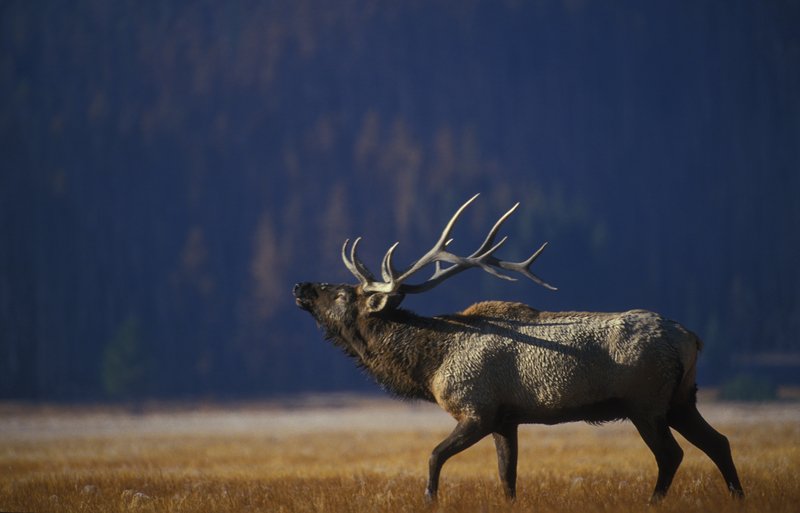 Elk game farming is no longer allowed in California. The Tejon Ranch runs their elk hunting through the DFG’s Private Lands Management Program (PLM). In exchange for conducting habitat improvement projects on their land that benefit wildlife, landowners can receive special PLM elk tags each year. The numbers and types of tags correspond to the population level of elk and the current conditions on the ranch. Elk in this area may have an earlier rutting season due to the warmer weather in Southern California. Are crabs with black spots safe to eat? Answer: According to our senior fish pathologist Jim Moore, black spots on the shells of crustaceans are typically composed of melanin, which is the end product of a series of immunological reactions. This means the crab was likely responding to some shell damage that could be caused by physical trauma or a disease agent. In this case, the black spotted crab is probably safe if cooked correctly. However, if the discolored shellfish tissue has an unpleasant taste or texture, or looks or smells unusual, we always recommend not eating it. Answer: This is correct. Licensed hunters or fishermen can carry loaded and concealed pistols, revolvers or other firearms capable of being concealed upon their person while engaged in hunting or fishing as long as they are in a place where it is lawful to carry a firearm. When going to or returning from the hunting or fishing expedition, or when transporting those firearms, they must be unloaded (PC, section 12027(g)). This exemption does not apply in all cases though. While handguns may be used to take certain types of game in the field, the carrying of a loaded handgun while fishing from a public place in an incorporated city, or in prohibited areas outside of incorporated cities could constitute a violation of PC 12031(a)1). It is also not lawful, to carry a concealed firearm, or any firearm at all, when hunting under an archery only tag or during an archery only season. Answer: Check with your local Police or Sheriff’s department. DFG has no laws or regulations regarding disposal of unwanted ammunition. This entry was posted in Firearms/Ammunition, Fishing, Food/Health, Wildlife Life/History and tagged ammunition, crustaceans, Dungeness crabs, elk hunting, firearms, importation, regulations, wildlife management. Bookmark the permalink.